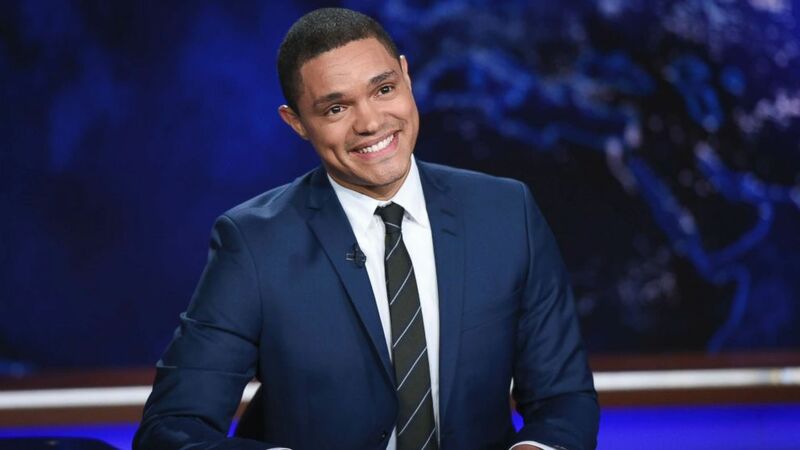 The French ambassador to the U.S. slammed comedian Trevor Noah on Wednesday for saying Africa deserved credit for France's 2018 World Cup victory due to the large number of black players on the team. Gerard Araud wrote a strongly worded letter addressed to Noah on Wednesday, accusing the late-night comedian of "legitimizing" racist ideologies and denying the players' "Frenchness" with his comments about their race and backgrounds. Noah claimed "Africa won the World Cup" in a segment on "The Daily Show" on Monday, a day after France beat Croatia 4-2 in Moscow, a joke that some deemed racist. "I get it, they have to say it's the French team,” Noah said Monday. "But look at those guys. You don't get that tan by hanging out in the south of France, my friends." Araud said he was watching "with great attention" on Monday, and that he wasn't laughing. (Evan Agostini/Invision/AP) In this Sept. 29, 2015, file photo, Trevor Noah appears during a taping of "The Daily Show," on Comedy Central, in New York City. "I heard your words about ‘an African victory,’ nothing could be less true. ... By calling them an African team, it seems you are denying their Frenchness," Araud said his letter on Wednesday. "This, even in jest, legitimizes the ideology which claims whiteness as the only definition of being French." 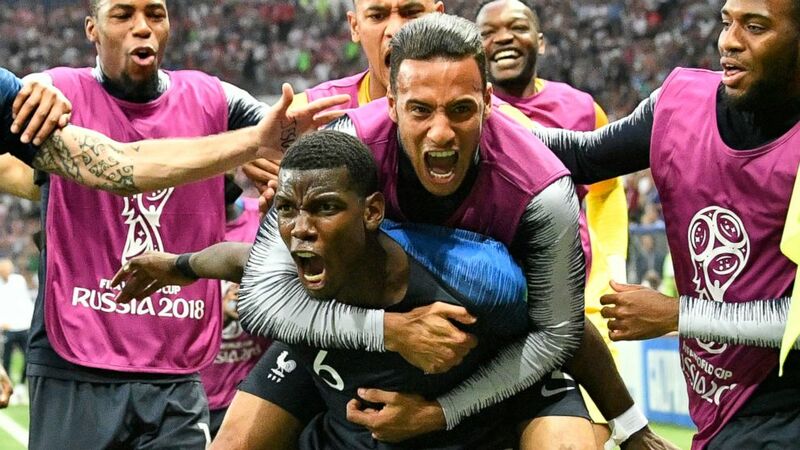 France took home soccer’s most coveted prize for the second time in the country’s history with a team starring black and Muslim players. Araud acknowledged that some of the team members' "parents may have come from another country," but he said all but two of the 23 players were born in France. "They were educated in France, they learned to play soccer in France, and they are French citizens," he said. "They are proud of their country, France." 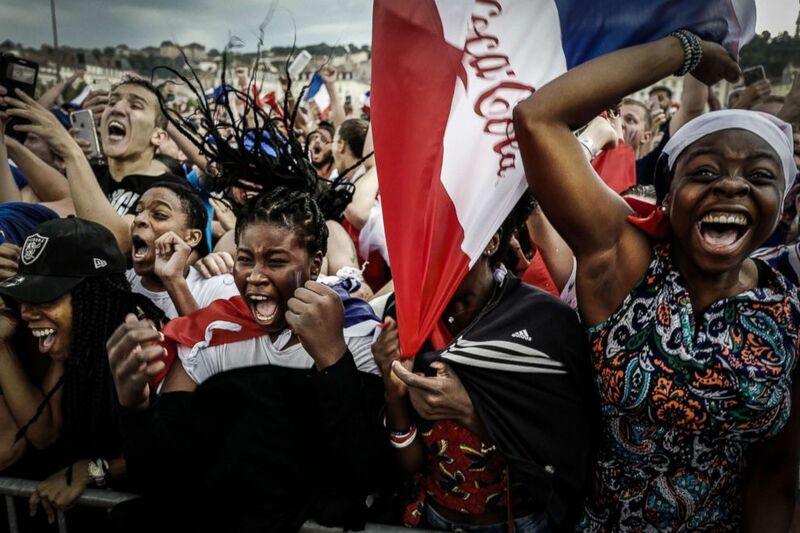 (Jean-Philippe Ksiazek/AFP/Getty Images) People react as they watch the Russia 2018 World Cup final football match between France and Croatia, on July 15, 2018 in Lyon, France. (Martin Meissner/AP) France's Paul Pogba celebrates after scoring his side's third goal during the final match between France and Croatia at the 2018 soccer World Cup in the Luzhniki Stadium in Moscow, Russia, July 15, 2018. Araud also took a jab at America, saying, "Unlike the United States of America, France does not refer to their citizens based on their race, religion or origin." The French Embassy in the U.S. released the letter to the public via Twitter on Wednesday at around 5 p.m. eastern, and it wasn't long before Noah fired back. "When I'm saying 'African,' I'm not saying it to exclude them from their French-ness -- I'm saying it to include them in my African-ness. I'm saying, 'I see you, my French brother of African descent," Noah in a video posted on Twitter. The comedian read part of Araud's letter in a "Behind the Scenes" segment of his show in which he appeared to double down on his original message. "I will continue to praise them for being African because I believe they are of Africa -- their parents are from Africa -- and they can be French, because I believe they can both at the same time," Noah said. "And if French people are saying they can't be, then I think they have a problem and not me." "America's not a perfect place," he added, "but what I love about this country is that people can still celebrate their identity in their American-ness."